The printing of low coverage colour documents, such as logos, often become an issue when you are charged for a high coverage colour prints. 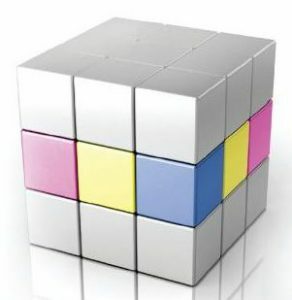 The Smart Group offers a solution to this concern with the latest range of KYOCERA TASKalfa colour multifunctional printers and their pioneering colour technology, in particular the innovative approach to costs pertaining to colour print usage that enables you to only pay for the colour you use. This feature means that you no longer have to pay a flat rate for colour billing on your colour prints and copies, but instead have the ability to only pay for the amount of colour that is actually printed on your documents. In short, the machine automatically counts how many colour pixels are used to produce each printed page. Individual pages are tallied on three separate meters in the machine based on how many colour pixels are on the particular page. For example, if you only print a company logo on a letterhead, the price per page will be considerably lower than a full colour, full page photographic style print. For example let’s say you have an important email you need to print off. You click file, print and retrieve the email at the copier. You bring it back to your desk not noticing your company was just billed for a full page of color, even though the copier only used color toner for the little blue email address at the top. Does that sound like a fair deal? Not in the least. It doesn’t make sense. Your vendor is charging up to 10 cents or higher per page of color that you print regardless of how much color is on that page.Think about how often that happens at your current job. Contact us today to learn more about our printer and copier solutions.